If you are an iPhone (X/8/8 Plus/7/7 Plus/6s) user, one of the things that you will probably want is the ability to watch your favorite flash videos on iPhone without format restrictions. When you download flash videos that are not playable on the iPhone or occupy a lot of space, you don't need to worry because you can convert them to a format of your choice. You can convert the videos to a format that offers great video quality and is lighter and easier on your storage space and enjoy watching them anywhere, anytime you want. In this article, we will show you the best way to download flash videos to iPhone. There is so much that you can do with iTube Studio Flash Video Downloader. It eanbles you to download online FLV videos from sites such as YouTube, Metacafe and Vimeo and then convert them to video or audio formats of your choice. This flash video downloader for iPhone also enables you to record any videos directly to MP3 format. 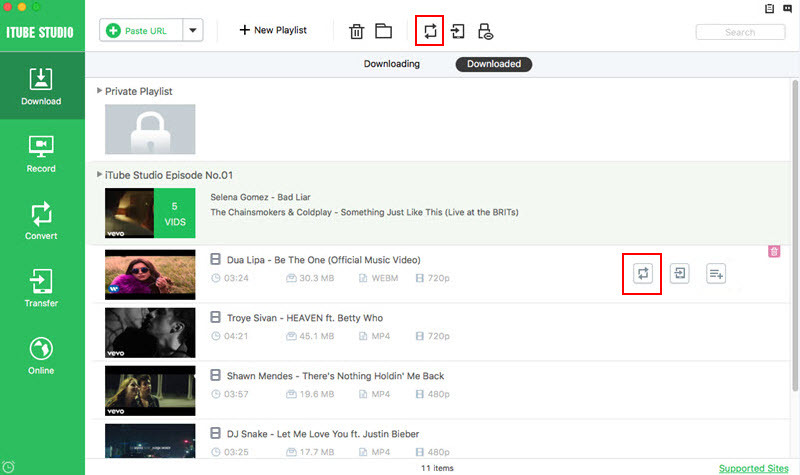 Building a video library with downloaded or desktop videos is also very easy when you have this application. It can also save the download history and delete any unwanted videos. iTube Studio also comes with a built in media player that you can use for playing any video. Multitasking is very easy since you could download videos in batch and then convert all of them at once at 3X faster speed. Download videos from 10,000+ online video sites such as YouTube, Metacafe, Break, Netflix, Hulu, Vimeo, etc. 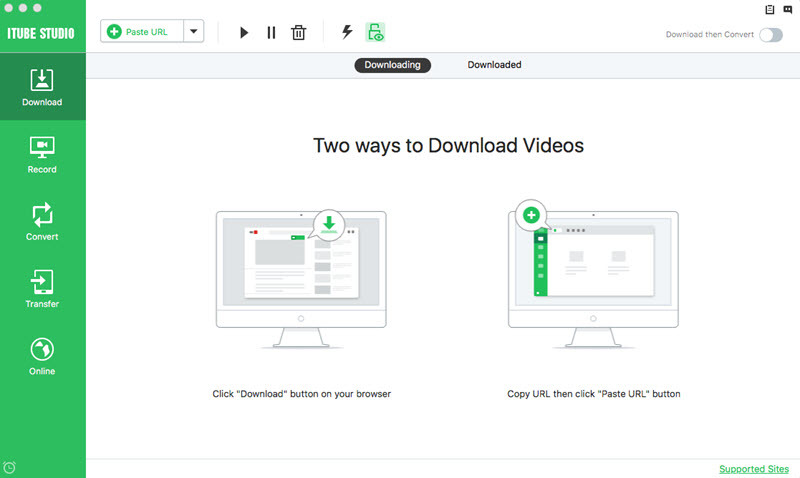 Convert downloaded videos into 150+ video and audio formats or directly to presets for mobile devices. Smart Time Scheduler to shut down your computer automatically or take it into sleep mode after the download process has finished. Enable you to export downloaded videos directly to the iTunes library or Transfer to iPhone/iPad/iPod with USB cable connected. Download the install iTube Studio on your Mac or Windows PC. After doing that, launch this flash video downloader for iPhone. 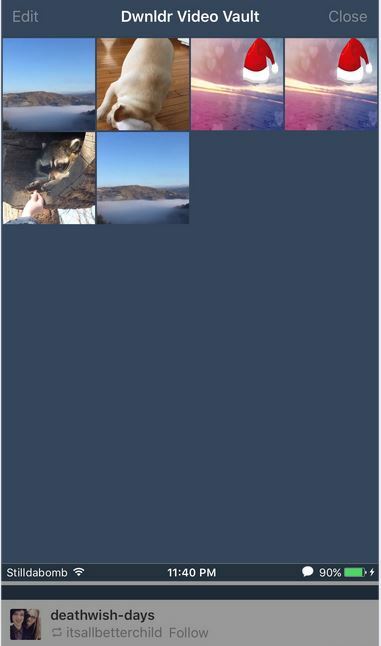 Launch Firefox, Safari or another browser of your choice and then use it to access YouTube or any other site you would like to download the videos from. 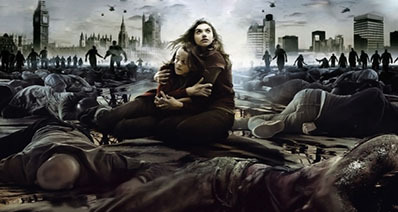 Once video starts playing, a download button will appear. All you need to do is click that button and allow the download wizard to do the rest for you. 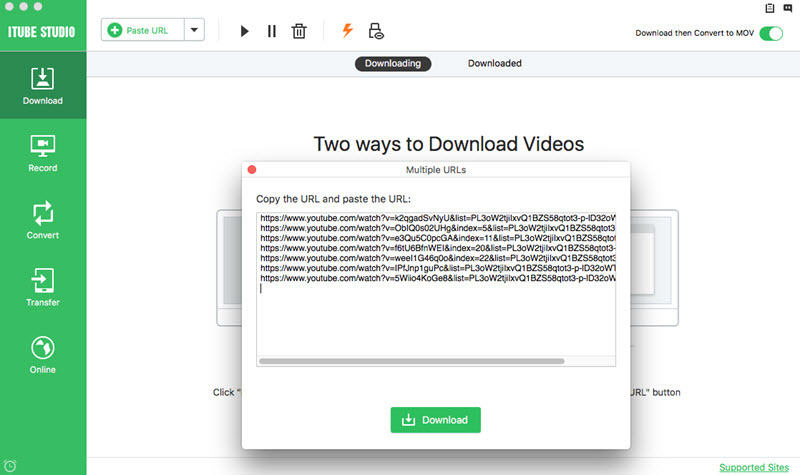 You can also download flash videos to iPhone by Copy and Paste the video URL of the flash video page to the primary window to capture the video. Or simply drag the flash URL of the video to the dock icon of iTube Studio to start downloading. After downloading the videos, go to the “Downloaded” tab and then click on the "Convert" icon on the right side of the videos. 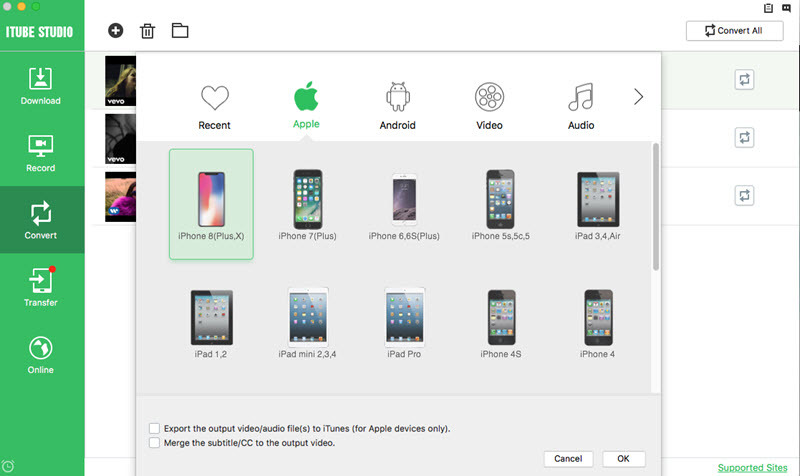 Then turn to the Convert category on the left side, in the format choosing window, choose the iPhone format which iTube Studio flash video converter has preset for iPhone devices, and then click on "OK" to start the process.